The Turanza ER300 is available in standard, Run Flat and Ecopia models. This tyre makes the longest of journeys much more enjoyable with the perfect balance between performance, stability and sheer driving pleasure. The tyres state-of-the-art tread technology delivers amazing stability and steering response letting you power safely through some of the harshest conditions. 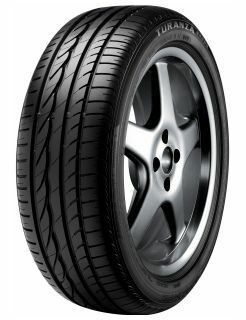 This tyre allows you to enjoy superior tyre performance without a massive effect on the environment. Bridgestone tyres carrying the Ecopia mark are designed to minimize rolling resistance for excellent fuel economy and less CO2 emissions.